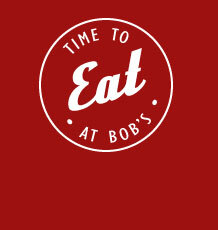 For a unique experience, make Bob’s Back Room the location for your next special event. The 1950s-themed, private room can seat up to 40 people. The bright, nostalgic space includes a private entrance, private restrooms, a buffet and flexible set up options. In addition, there is a large tent available for seasonal set-ups on the back patio. Please give at least 24 hours notice when placing a special events request. We will do our best to accommodate short notice, and the more notice you give will help ensure we can give you the date/time you need. Please feel free to call us at 967-3111 with any questions regarding booking your event.